Last week was so much fun!!! With the Literature lesson plan, and my special guest…. I was enjoying every second! The best part is, this week has the potential to be even better! 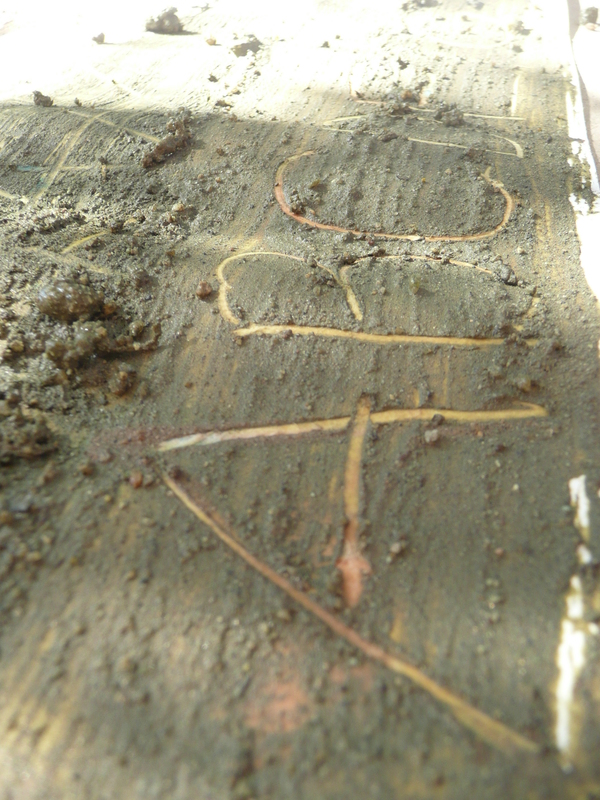 We are celebrating MUD DAY. Can you believe there is such a day? 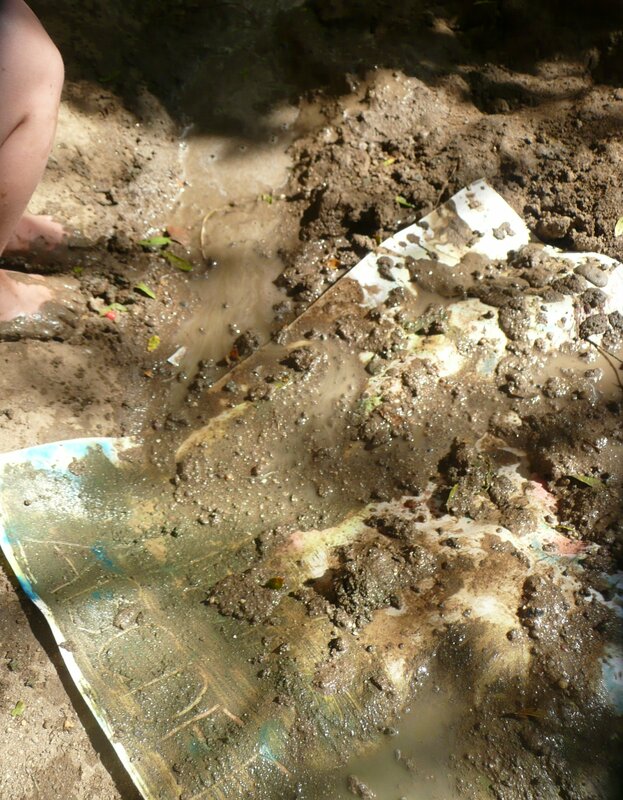 Well there is and Little M has mud gushing through her toes and caked in her hair. AWESOME! World Mud Day is on June 29th, but will show up here tomorrow (it’s a time zone thing). I will be posting Mud fun all week, you do not want to miss it so if you don’t already subscribe with me go to the side bar and hit one of those cute pink buttons! 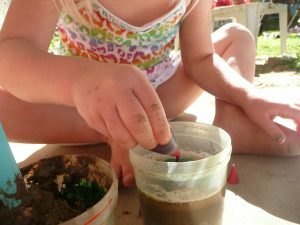 Little M experimented with coloring the mud. 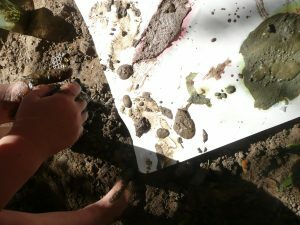 It was hard to see, but once the mud was on the poster board the color soaked into it, surrounding the mud. It was pretty neat. The paintbrushes worked, but Little M decided to try out other forms of painting. She dripped and splattered mud. 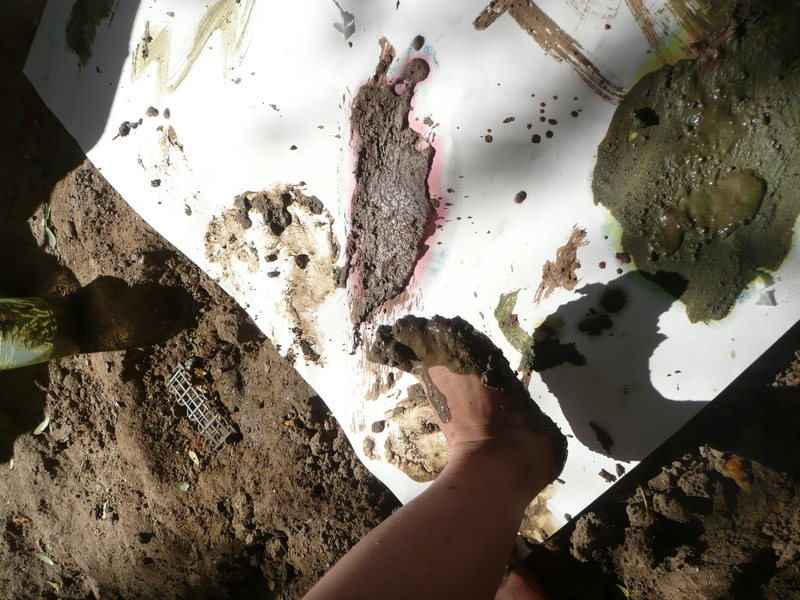 Of course she painted with her feet… this is Little M we’re talking about! She even asked me to join in, trust me that never happens. 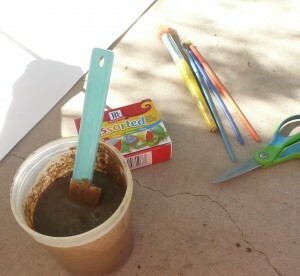 I tried spreading it thick and scraping letters with the back of a paintbrush. When the fun of painting wore off Little M used the poster board to make a river… not a bad idea. 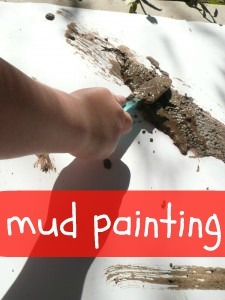 What type of MUD fun are you having this summer?